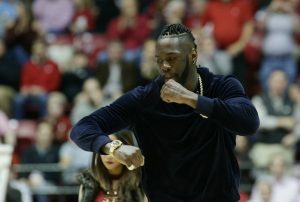 Deontay Wilder’s WBC world heavyweight title fight with Tyson Fury has been simplistically hailed a ‘puncher vs the boxer’ clash of styles, but such an assessment dramatically underestimates not only the champion’s boxing smarts but the challenger’s power. From a round betting perspective, these twin misrepresentations should conspire to ensure the bout goes long while hinting at the possibility of a scarcely-countenanced Gypsy King stoppage success. William Hill won’t be beaten on Wilder vs Fury round betting odds between now and their blockbuster WBC world heavyweight title brawl at Los Angeles’ Staples Center in the early hours of Sunday morning so there’s no better place to bet whether you subscribe to our theory or not. The Bronze Bomber’s professional record may be all about knockouts, with 39 of his 40 victims bounced inside the distance, but even with his dynamite right, six of his eight world title fights have gone to the eighth round or further, with five reaching at least the ninth. He’s also a fighter of strong amateur pedigree, having finished third in the Beijing Olympics of 2008 and beaten the eventual champion earlier the same year. 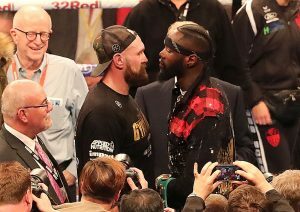 Added to the general understanding that Fury will aim to elude and frustrate his firepower-packing foe whilst tagging him with clever shots, our Wilder vs Fury round betting odds wager that Wilder’s rather unheralded technique should play a part in ensuring this fight reaches the last quarter of its scheduled 12 rounds. Why not check out our Deontay Wilder vs Tyson Fury predictions? The American KO merchant is trading at odds of 25/1 to prevail in the 10th, 28/1 to win in the 11th and a substantial 33/1 to end things inside the final three minutes in our Wilder vs Fury round betting odds. However, the rap about Fury’s lack of elite level clout in the build-up to the fight hasn’t hindered him in winning nine of his last 12 fights inside the distance, with one of those men he failed to stop Wladimir Klitschko and another Francesco Pianeta in a match he would’ve wanted to go to points. The Gypsy King is priced up at 50/1 to win in round 10, while odds of 66/1 are available about him ending things in the 11th or the 12th stanzas in LA. Wilder’s last outing against Luis Ortiz highlighted how vulnerable he could be against a high-class southpaw with plenty of skill and savvy, with the champion holding on for dear life in the seventh and calling upon an extra 20 seconds to see to a questionable cut ahead of the eighth. Fury, should he retain the same armoury of trips, feints and slips and switch-hitting he utilised against Klitschko in 2015, is a superior technician to Ortiz and at nine years the burly Cuban’s junior he should have more in the tank to finish off the job. He could be well miles ahead on the scorecards when the rounds reach the double digits and poised to punish the Bronze should his efforts to land power punches become wilder and wilder.